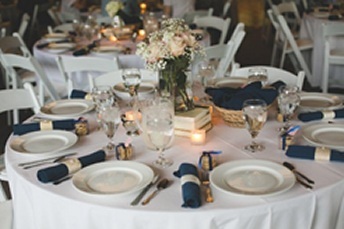 Lanning’s would love the chance to serve you at your next gathering or event. We offer a full range of catering services for any size event; from help with a few side dishes or party trays, to a 200 guest fully catered wedding, we're your answer! You can order and pick up at your convenience or we can drop your order off to you. No matter what you need, we can satisfy your every culinary need. If you’re interested in hosting a Hog Roast contact our Butcher Shop at 740-397-2751 ext. 231. 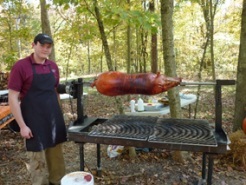 They will reserve your date, instruct you on the use of our hog roaster, and help you decide on what size hog to order. It couldn’t be any simpler than that! Whatever your needs, we would be delighted to make your next event, birthday party, meeting, wedding, or graduation extra special with our taste of home catering service. Contact our Catering team at 740-397-2751 ext. 230 or email us at catering@lannings.com to make your next event a culinary delight.